The Stainless Steel Lorica Segmentata is the classic armor that is typically pictured whenever the common person pictures a Roman soldier. This armor features an impressive look that is every-bit as protective as a series of metal plates appears. This armor consists of a series of overlapping metal plates that are interlocked together to create a suit of armour that offers a superb level of protection. A series of horizontal metal bands are overlapped across the abdomen, while larger metal plates protect the upper chest. Interlocked vertical metal plates cover the shoulders. Brass adornments on the chest act as lacers that hold the chest plate together, while small buckles help to keep the armor in one functioning piece when worn. This classic example of Roman armor is made from 18 gauge stainless steel and is ready to wear. It features an attractive polished metal look. 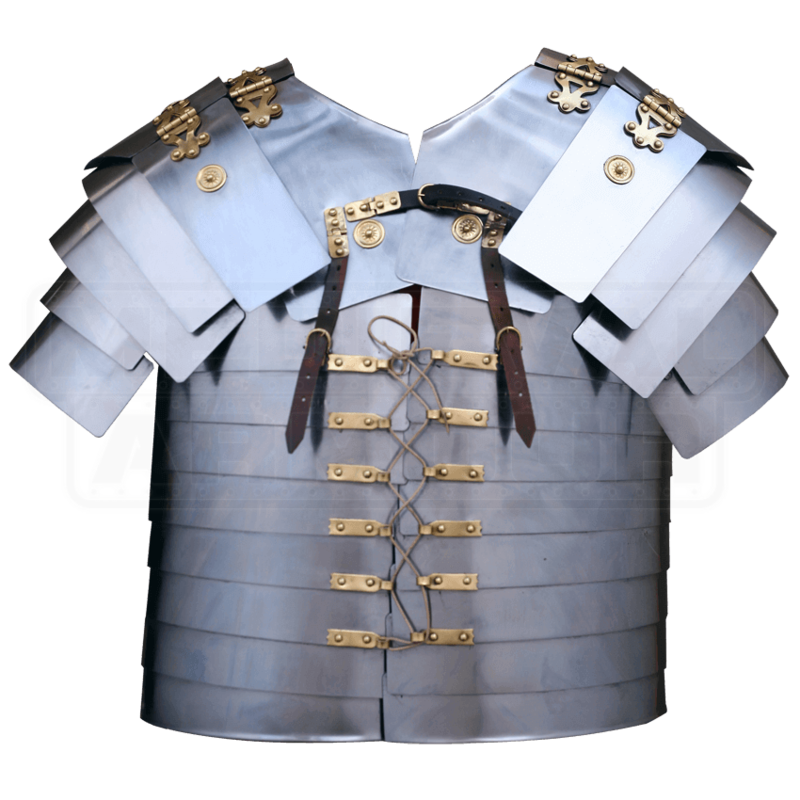 Whether you are dressing an armor dummy in true Roman fashion for your own personal collection or wearing this suit for a reenactment, you are sure to look authentically Roman in this Stainless Steel Lorica Segmentata.